It was august 2013 when Facebook surpassed 82 million active users in India and it is now that the social network has reached yet another milestone by crossing 100 million mark in the country. As told by Javier Olivan, Facebook’s vice-president of growth and analytics to India’s Economic Times, the landmark number was reached on March 31st. Besides, 84% of these 100 million active Facebook users in India access it via mobile. It is expected that India will hit a quarter of a billion web users sometime this year. 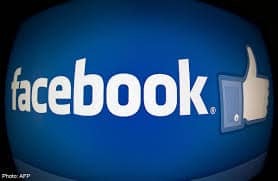 Although Facebook has witnessed a very strong growth in India with 8 million users in 2010 to 100 million users this year, the US-based site is still undergoing growing competition in the nation from messaging apps. Facebook-owned WhatsApp has 40 million active users in India, and competitor chat apps like WeChat and Line are also fighting to augment their numbers in the mobile-first country.